Part two of the hydra, and while there were some people who didn’t finish, there were some that did an absolutely phenomenal job. No new projects this week, so lets get straight to the minis. 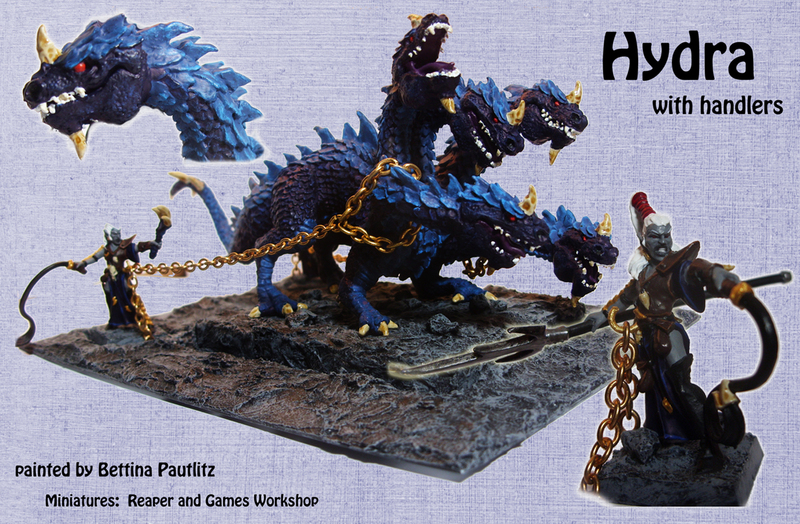 Though I think there is a bit more work to do, I would say this hydra is 90% done. Trying to keep a consistent level of detail across the entire surface of such a large mini is very time consuming. Makes me wonder when I will ever finish the Cthulhu mini reaper did. Like me, Jessica did not have a chance to complete her mini to her satisfaction. You can see the layering starting to take shape though. There were a couple painters this week that really rocked my world. The first is by Bettina; she painted her way straight to a diorama, and added Warhammer fantasy dark elf to complete the piece. The result is amazing. Last, and perhaps most mind blowing is the week’s entry by Antonia and Dirk. This one should really win some awards. First their is the painting – look at all the subtle shifts in color, all the detail in painting – and that’s before you get to the subtle details in modeling. My favorite bit? The piece of spine sticking out of the severed head. Janan Send pictures to caffeineforge@gmail.com by 3/30/14 at 9pm. Beautiful dioramas! I hope you’ll be entering them in the reaper board’s year long “they might be giants” contest. @Jessica, thanks for your kind words! I never heard about this contest, perhaps because sadly I’m not much of a board-dweller… Is that a place to show your painted reaper minis? We should absolutely check that out! 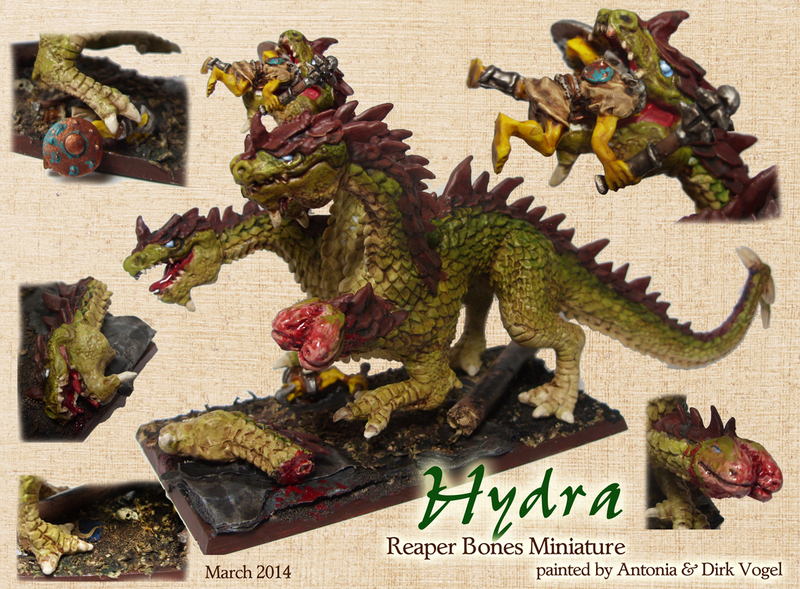 And I’m really eager to see your finished hydra, do you have a blog or page where you post miniature pics? @David: I love your color scheme, the strong greens and the reds on the eyes give the beast a nearly demonic touch! 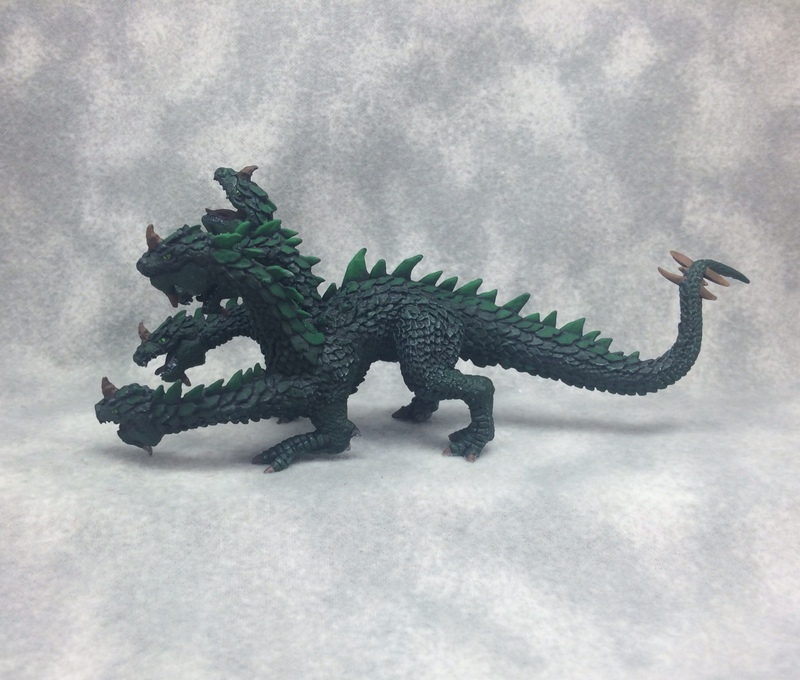 Yeah reaper forums is a great place to show off painted minis. Here is the link to the contest: http://forum.reapermini.com/index.php?/topic/53513-2014-year-of-the-giants-contest-rules-and-questions/ I haven’t decided what I’ll be entering yet, but I will be entering something in the contest. I don’t have a blog or page where I post my pics, but I’ll be sure to post it somewhere and link to it when I finish it. I honestly don’t anticipate finishing it in the very near future though, I’ve got a long way to go on it, and its not my painting priority right now. Eh, david, we already did the clay golem….. Awesome work, all! 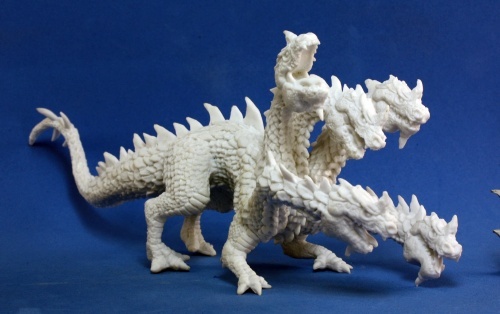 This is an impressive figure and I’m definitely going to have to pick it up once we’ve gotten through more of the Bones-pile. I did use the two Hydra weeks to good effect, though, and managed to finish my ISW-69F Scout Ship (from the recent Kickstarter). I’m ready to get back to Bones!